Home » Blog » Brand Development, Corporate Communications » What a card! 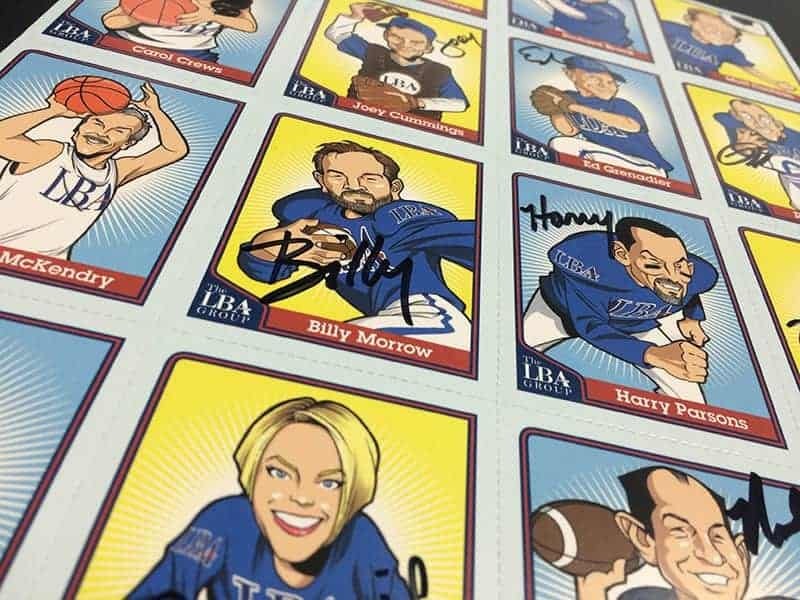 A playful promotion designed for The LBA Group, a CPA firm in Jacksonville, Fla., features the LBA all-stars in a series of collectible sports cards. Each perforated card features a colorful caricature on the front, with each partner’s “stats” — such as position, rookie year and favorite karaoke go-to song — on the back. Collect ‘em all!